Over 30,000 Canadian small and medium-sized businesses are using a Chambers Employee Benefits Plan to provide a wide range of medical and dental coverage to their employees. Over the last 40 years, the Chambers Plan has earned a reputation for being stable, smart, and simple to manage. There are various reasons why your business should consider joining, and our team of experienced insurance advisors will be more than happy to design a plan that suits the unique needs of your small business. Enrolling in a Chambers Plan allows you the ability to invest in your company. Insurance policies require that you pay a specific amount of money into premiums on a monthly basis, many companies actually pay more in premiums than they spend on benefits, creating a surplus. Typically, an insurance company will pocket this surplus, a Chamber Plan will let you keep this money. Your business will be able to put these funds back into your plan, allowing you the ability to keep your rates down. The Chambers Plan is run and managed as a not-for-profit organization. The premiums paid each month are used to cover the costs of both the plan and its administration. Profits stay within the organization, allowing for lower premiums, along with predictable and stable future rates. You and your employees will have access to excellent customer service, answering any of your questions right away. 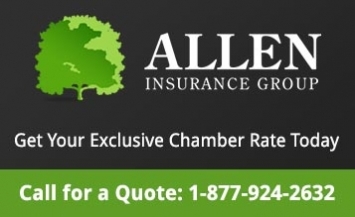 Internet and mobile technology has changed the way owners, administrators and employees manage their group insurance plans, and with the Chamber Plan’s my-benefits online portal this process couldn’t get easier. The digital platforms provide full access to the various details of your plan and can be accessed anywhere from a phone, tablet or a computer. Instantly receive billing statements, sign up your new staff, calculate payroll deductions, update earning and various other features. Employees can access their claim information, download booklets and drug cards, and see when their funds renew for commonly used benefits. With electronic money transfers, the Chambers Plan pays claims quickly. Most funds are transferred within 48 hours to the recipient’s preferred bank account. Many medical and dental services can be paid by the plan instantly. We’ve worked with a lot of small and medium-sized companies throughout Ontario, and we know that every business is exceptional with their own set of unique goals and needs. Each Chambers Plan can be customized to suit the budget and needs of your company and employees. There are various benefits you can include in your plans such as group life insurance, accidental death and dismemberment, group health insurance, prescription drug coverage, dental insurance, group disability coverage, group critical illness protection and various other options. Chambers Plans also include an option to add a top-up health spending account. With a Health Savings Account (HSA), your employees will have more ownership in their plan by allowing them the ability to decide how to best spend on their family’s dental and healthcare needs. The premiums paid by employees can be used as a deductible business expense on taxes. Chambers Plans are designed for small and medium-sized businesses. Even a one-person operation can apply for enrollment. There are specific plans designed for home-based businesses, self-employed contract workers, sole proprietors, large firms and any company in between. Approval is guaranteed for even the smallest business, without the need for invasive medical questionnaires or medical underwriting. Your firm will have their plan’s renewal guaranteed for years to come, providing that all premiums are paid (up to a maximum plan age). The Chambers Plan also offers business owners and managers an additional level of security with personal retiree plan options that most other insurance plans simply do not provide. Even employees on leave or who have been terminated can continue their coverage by transitioning to an individual health and dental plan. This can be done if the employee makes arrangements within 60 days of their coverage’s termination. Chambers Plans provide options that other insurance companies simply don’t provide such as Best Doctors ® and Business Assistance Service, providing free access to professional accounting, legal, counselling, and human resource experts. Employees also have access to the my-benefits health ® site, a unique digital resource connecting your staff with valuable health tools and resources. Ontario firms such as yours choose Chambers Plans year-after-year due to its unsurpassed value, adaptability, and value. Learn how a Chambers Plan can work for your small or medium sized business by contacting your local advisor Matt Howell, Howell Financial Corp. today.